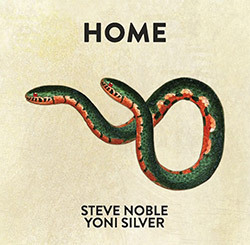 The two-headed snake on the cover of this album aptly describes the sublimely sinuous and dark interplay between London free jazz drummer Steve Noble and bass clarinetist Yoni Silver, their 4-part improvisation taking on sinister elements of exceptional cymbal techniques, unusual drum tones, and extended lower register tones and high harmonics; excellent. 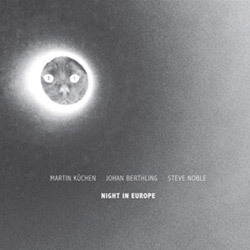 Urgent and inspired free jazz from the Swedish/UK trio of Martin Kuchen on tenor and soprano sax, flute and retardophone, Johan Berthling on double bass, and Steve Noble on drums and percussion, recording a series of "Gate" improvisations, anguished laments of power and pulchritude. 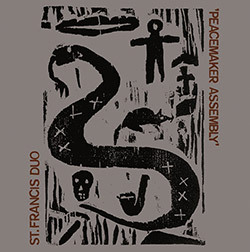 The Saint Francis Duo of Stephen O'Malley (Sunn O))), KTL) and Steve Noble (Rip, Rig and Panic, Brotzmann, Parker, Edwards ...) present a tour-de-force of darkly improvised drone and doom in a studio album of violently dark guitar work and ferocious drumming. 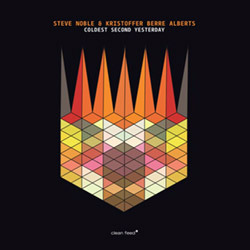 London master drummer Steve Noble (Rip Rig and Panic, Derek Bailey), a mainstay on the scene for decades, with Scandinavian free improvising saxophonist Kristoffer Berre Alberts (Cortex, Saka, Starlite Motel) for a live album of uproariously driven, skronky free jazz. 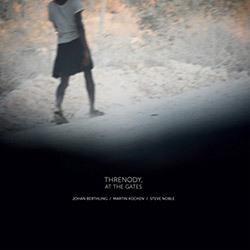 Alto saxophonist Julie Kjaer, a Denmark native living in the UK and active on the London Improv scene, in a trio with two of the most active London players - Steve Noble on drums and John Edwards on bass - for a live album at Vortex Jazz Club in 2015. 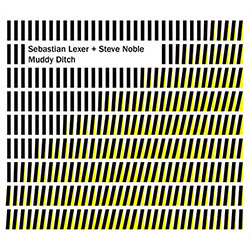 Two live sets of exemplary improvisation: the first revelatory encounter of pianist Sebastian Lexer and drummer/percussionist Steve Noble from 2011, and a more considered and spacious meeting in 2014, both from London's Cafe OTO. 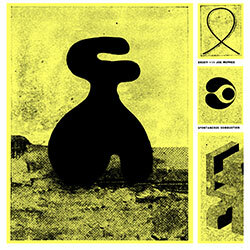 Guitarist Stephen O'Malley meets UK free improvising drummer Steve Noble in Philadelphia PA to record this mammoth duo of sound and drone guitar with active, deep drumming, a mesmerizing album of intense sound and rhythm. 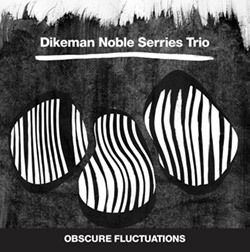 High-charged improvisation balancing between free jazz, avantgarde and minimalism from the trio of American saxophonist John Dikeman, Belgian guitar experimentalist Dirk Serries, and legendary English drummer Steve Noble, performing at Soundsavers in London, 2015. 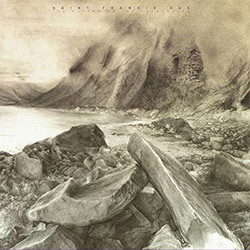 A recording of two London based improvisers of different generations communing in the resonant surroundings of the 100 Years Gallery, with drummer Noble creating glittering bell and gong like tones over which guitar Thompson hangs fractured harmonics and strange bending chords. 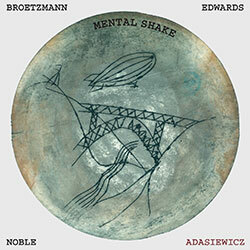 For their 3rd album together, the trio of saxophonist Peter Brotzmann, bassist John Edwards and drummer Steve Noble are caught live at the 2013 Ljubljana Jazz Festival for three blistering works of free improvisation. 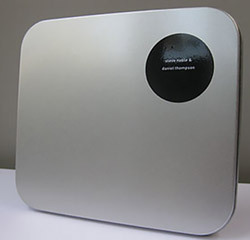 A 2 CD issue of the 2013 LP with 78 additional minutes, from the two day residency at UK's Cafe Oto of Decoy (bassist John Edwards, Alexander Hawkins on Hammond B3, and drummer Steve Nobles) with special guest Joe McPhee on pocket trumpet and alto sax. 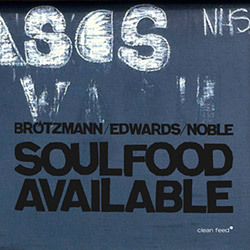 A return to the group that kick-started Otoroku - the veteran German reedsman and free jazz pioneer Peter Brotzmann with the long-running London bass/drums partnership of John Edwards and Steve Noble, recording at the last set of a two-day residency at Cafe OTO in 2013. 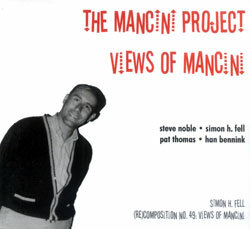 The London power jazz trio of Steve Noble on drums, John Edwards on double bass and Alex Ward on electric guitar, powerful and exhilarating free improvisation from a trio who for more than 10 years have developed a unique sound that blurs the lines of jazz & rock. 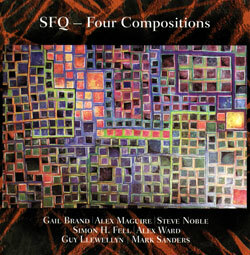 Bassist Simon Fell presents two SFQ projects, "Three Quintets" with Alex Ward (clarinet), Gail Brand (trombone), Alex Maguire (piano) and Steve Noble (drums); and the Liverpool Quartet with Alex Ward, Guy Llewellyn (french horn) and Mark Sanders (drums & electronics). 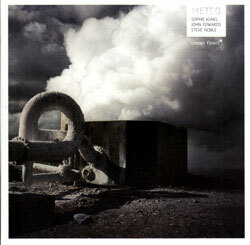 A live recording at the famous Meteo Festival from the trio of Sophie Agnel (piano), John Edwards (double bass) and Steve Noble (drums), three of Europe's most active improvisers in an intense extended performance. 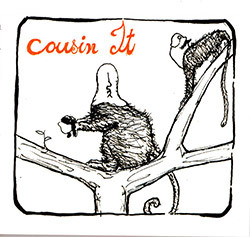 Israeli pianist Maya Dunietz comes together with British free improvisers John Edwards (bass) and Steve Noble (drums) for a trio record of creative and informed playing, a marvel of power and inventiveness. 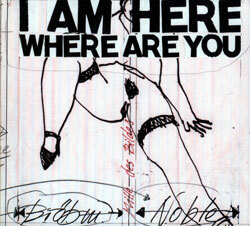 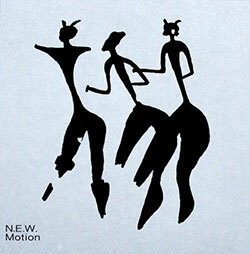 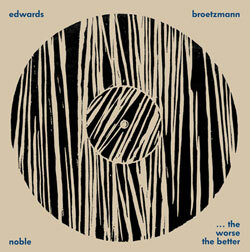 LP edition of the first set performed by the trio of Peter Brotzmann, Steve Noble and John Edwards at Cafe OTO in January 2010 during Brotzmann's first residency at the venue, and the first time this trio had played together. 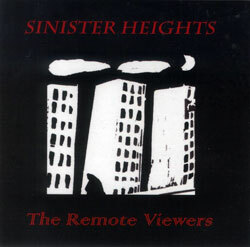 UK's Remote Viewers latest blends electronics, rock, composition and improv in unusual and seductive ways, with guests John Edwards, Steve Noble, Caroline Kraabel, &c.
Simon H. Fell, Steve Noble, Pat Thomas and Han Bennink performing the works of Mancini scored for a jazz piano trio, plus 'sound manipulation artist' and prerecorded tapes.